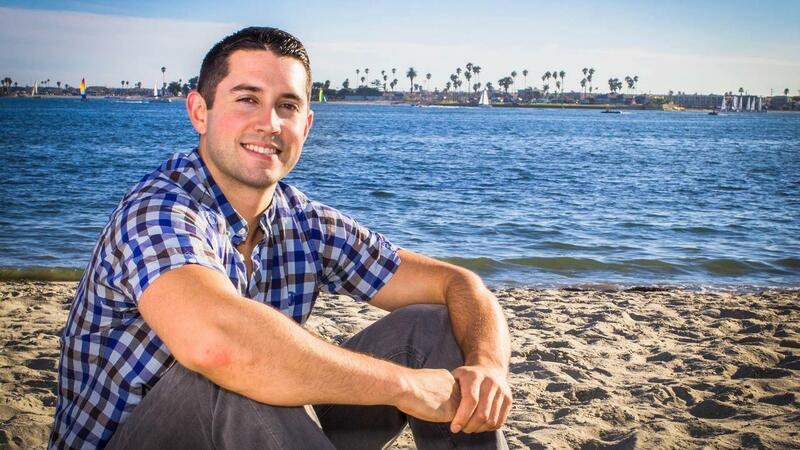 Here’s more on my time with Alex Martinez and the lessons he’s learned that helped him build a 7 figure business before the age of 30. At age 19, I was making sandwiches for 10 bucks an hour. At age 20, I found real estate investing. That year, my team and I generated over $1.2 million dollars of profit from finding and flipping houses. Throughout the past six years, I have worked and consulted with national real estate investing companies, companies on the T.V. Show “Flip This House,” and some of the fastest growing companies in the nation according to the Inc. 500 list. I continue to invest in real estate and I also help others to find and flip houses. Within 45 days of learning investing, I did my first deal which generated $22,000 of profit. I now have clients that are flipping their first houses in only three weeks’ time. I have been practicing Jiu-Jitsu for a few years. Jiu-Jitsu is a martial art where you competitively grapple with your opponent to submit them by joint locks and/or choking them out. This martial art has taught me to reduce my ego because every day you are humbled by people who may be 50lbs lighter than you but end up dominating you. There are so many parallels between Jiu-Jitsu, everyday life, and business. You have to show up, put in the work, enjoy the journey, and be in it for the long haul. I believe that working and building business should be fun. If it’s not fun and you’re not enjoying it, then what’s the point? Have fun and make money. It’s not a bad life! Favorite place I have visited: Barcelona, Spain. What is something about you that most people don’t know that would surprise them? I’m 26 years old and my ideal evening is staying in and reading, going to an art exhibit, having intellectual conversations, or playing some sort of game. I nerd out on books, movies and documentaries that inspire thought. Something most people wouldn’t know about me is that my favorite movie is “The Matrix.” There are societal norms that people try to fit into, however, once you break free of this “matrix” you understand there’s a whole different way to go about life. You don’t have to work a 9–5 job. You don’t have to work for someone else. You can be “the one” and work for yourself! What are two examples of how you consistently work outside of your comfort zone and how has that impacted your personal and professional growth? I always take the opportunity to learn new experiences and gain more knowledge over earning an extra dollar. One example of this is that I turned down a high six-figure CEO position in the real estate investing industry to become the director of growth for a technology company. My belief is that the more knowledge, experiences and relationships you have the more successful you’ll be in the long run. I’ll pick up a penny — a relationship — and experience over a dollar of experience any day of the week. One special person who has impacted my success is a great friend and mentor, Nathaniel Broughton. Since he is someone I respect greatly, yet we’re still friends, I coin this relationship as a “Friendtorship” (only slightly kidding). Nathaniel is someone I can go to for guidance in life and business. He’s an awesome father, husband, friend and mentor, and I value him as a person. It’s more than just about business, just hanging around him and his family, I learn something new every time. I cherish that. In addition to being a great person, he has helped build and sell multiple companies and made the Inc. 500 list a few times, while still making time for his family and traveling. Pretty rad if you ask me. Another person that has impacted my success is JD Esajian. JD is the President of CT Homes, a residential redevelopment company in California that has been featured on the TV Show “Flip This House!” Learning from JD is where I earned my real estate investing chops. JD challenges everyone to become their best selves. Even though JD and I haven’t worked together in the same business for years, we stay in touch. JD helped me start my real estate investing journey and for that I am extremely grateful. Discuss one of the lowest points in your life personally or professionally and how it helped you get where you are today? It is easy for me to get entrenched in my businesses. To me, building a business is fun and exhilarating. What has happened in the past is that I let other things fall by the wayside, like exercising, checking in with friends and family, and traveling. One of the lowest points personally and professionally was after I had worked the hardest and longest I had ever worked. I’m talking 3–5 hours of sleep a night for a year. I gained 20 pounds and let too many relationships fall by the wayside. This was because I was determined to be “successful” no matter what, And, I was, generating more than a million dollars at age 20. At the end of that long year, I traveled to Barcelona for a vacation and was able to get away from business and get a new perspective. I realized that even though I had increased my depth of business knowledge, my breadth of life experiences had decreased. I knew changes and balance were needed. So, I quit working, took a much-needed break to recalibrate, and started to focus on my health and relationships. This was a low point because I lacked balance in my life. I do not regret any of this, however, as I have learned that balance in all things is necessary to live a fulfilling life. I’ve been fortunate to have great bosses throughout my life. Across the board, I always try to learn from each boss. What are bosses supposed to do? Influence and lead their company to be sustainable and profitable. I’ve had bosses that were poor at influencing others and some that were amazing. From my worst bosses, I’ve learned how NOT to influence others, which is almost as important as learning how to influence others. My most memorable failure was losing a nice chunk of change on a house flip. This was a short-term flip that was supposed to generate $40,000+ of profit in five months, however, it ended up losing $28,000. 1. Always be conservative in your investment analysis. Ask yourself, if everything goes wrong, will I still come out profitable? What are the worst case, base case and best case scenarios? Am I comfortable with all those cases? If the answer is yes, then move forward. If the answer is no, then move onto the next one. 2. Have multiple exit strategies — It’s good to have options. Not having options restricts decision-making and creativity. In the house flipping business you can renovate the property yourself, which should bring in a bigger profit over a longer period. You can also “wholesale” the house, which means selling the contract to another investor — this means a very quick profit in a short amount of time. Or, you can even evaluate a house as something you can buy, renovate, rent, refinance, and hold as a long-term investment. Options are good. 3. Don’t bring emotion to a numbers game. — Leave emotion out of investing. Learn the rational investing principles so that you always have something to cross reference with your brain’s logic, which can sometimes be irrational. What unfiltered advice do you have for aspiring entrepreneurs or business owners looking to catch their big opportunity? By approaching something with this mindset, you automatically put an emphasis on learning and building a sustainable business rather than a get-rich-quick business. This is the best mentality to have rather than stressing yourself out having to make it work in two weeks. Now that I am older and (hopefully) a little wiser, I now FOCUS on what I am doing and play the long-term game more effectively. Looking back, what was the most non-conventional way you landed a memorable deal that made your success turn in the right direction? Going to a real estate networking event. As I was walking out I see two guys and go up and shake their hand. Here I am a young, naive 20-year-old, and I meet Brandon Laughridge and Nathaniel Broughton; two friends that I would go on to work for, work with, invest with, and flip houses with. Hands down the Opt Out Life Podcast. It’s real and authentic and the hosts, Nathaniel Broughton and Dana Robinson, are two guys who tell it how it is! They interview subversive millionaires and entrepreneurs who know how to balance lifestyle and making money. Global Goals Project | Exploring Social Entrepreneurship & Impact Investing by Chandler Perog. I personally know Chandler. He plays a BIG GAME in life and he tackles life’s biggest questions/issues. His podcast challenges you to think how can YOU make more of an impact, and how can YOU play a bigger game in life? We all can literally make this world a better place, so why not do it? Thanks, Chandler! Time is our most valuable resource and I treat it as such. I do not take random phone calls or meetings. I have specific days to handle phone calls and meetings, so I can focus on deep work the other days. I block off several hours on my calendar, turn the phone off, and get to work without any interruptions. I realize that it sometimes takes me an hour or two to get into a flow-state work session, so I set myself up with no distractions to do my best work. www.RealEstateSkills.com — I help others with the real estate skills they need to achieve financial freedom. For six plus years I have been investing and helping others to invest in real estate. I have a course that helps aspiring and established investors to find and flip their first houses in 45 days or less using little to no money. Real Estate is a pillar that can help you build true long-term wealth, but like everything in life, there is a wrong and right way to go about things. I do my best to teach you the right way to get you where you want to go in the fastest time possible. You can follow me on my blog at www.RealEstateSkills.com/blog.